So instead I’ll tell you about how I got up at 5:20 on Sunday morning, drove a Zipcar all the way up to Gurnee, spent some time in the McDonald’s parking lot right by Great America only to find out that the race had cancelled the swim and shortened the bike, making my friends who I had intended to watch decide that it wasn’t worth it and were bailing, and then turned right back around and made it back to my apartment, returned Zipcar and all, by 8:45 a.m.
And then, about a month from now, you can come back to a blog near you (i.e. : this one), where I will, hopefully, recap what it’s like to spectate Ironman 70.3 Steelhead, which all of my friends now plan to race. I have to say, though, I was so impressed by how well my friends handled the weather situation on Sunday. For most of them, it would’ve been their first half Ironman, and if I had been in their shoes, I would’ve been alternately livid and inconsolable over the fact that the weather had thwarted my goal race. They all seemed to take it in stride, though, so props to my friends for being more mature and levelheaded than I am. 2. As I mentioned in my marathon training recap post, it was miserably humid last Wednesday. The forecast called for storms, and though it took things a while to get going, sometime around 7:00 or so a nasty thunderstorm rolled through. The storm wrapped up a little after 8:00, just in time for sunset, and my oh my did the sky put on a show to reward us for putting up with the icky weather. I truly have never seen a more beautiful rainbow in my life. I was on the phone when I saw this, and I literally stopped in the middle of my sentence when I saw the rainbow because I was so blown away by this. I don’t have a good picture to show the whole thing, but it was a full, double rainbow (you can see the second rainbow in that picture if you look closely). The color was stunning, and the whole scene almost brought me to tears, it was so heart-stompingly gorgeous. An iPhone photo could never do it justice. 3. Finally get to cross this off my Chicago bucket list. I was in Little Italy on Thursday, so at long last I hit up Mario’s Lemonade, which has a reputation as being one of the the cold-treat places you HAVE to visit in Chicago during the summer. I got a pineapple lemonade, which is kind of like a snow cone, but a thousand times less icy and artificial and thus a thousand times more delicious. Have you ever seen a full rainbow? I went to Rocky Mountain National Park 10 (omg stop) years ago, and my family and I saw one there on a hike, and you could see both ends of the rainbow hitting the ground (no pot of gold, though, weirdly enough 😛 ) Other than that, though, I don’t remember ever seeing another one beside last week’s! I’m trying to go spectate one of my friends in Chattanooga in September for his ironman. I would be so upset if a major race like a half ironman was cancelled/altered due to the weather. Those takes months to train for (and cost a TON of money). Oh fun! I hope you’re able to go! And I know – I couldn’t believe how well they all handled it. I was a MESS when there were storms in the forecast before my first marathon (it ended up being a perfectly sunny day), and an IM costs way more than Chicago, even a half IM. I would’ve been so upset! What a beautiful double rainbow!!! I have seen a full one once, over the Mississippi River in Iowa. I am happy your friends took the race change in stride! And found another one to do – hope that one has good weather! Oh wow, that sounds gorgeous! And haha, I did think of you when I was in Gurnee! But considering that I could probably count on one hand the number of times I’ve gone north of Evanston since moving to Chicago, Gurnee does feel really far away to me! The rainbows that night were gorgeous! My entire Instagram feed was flooded (parden the pun) with pictures of them, it was fabulous! YAY for Mario’s Lemonade! It’s such a classic! Sadly I haven’t been there in a few years but now I’m getting a hankering to go back. You were lucky for the spectating adventure! 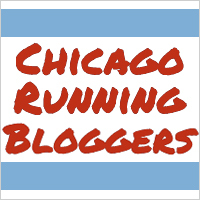 I was running RnR Chicago and the race got suspended while I was only a half mile from the finish line because of the storms. Talk about bad timing!!! I love that you say when, not if 🙂 That makes me so happy! I’ve heard similar things about the Racine bike course as well. And I totally agree – even though IM races are $$$, I think I’d rather register for two and accept that I might have to do both than only register for one and risk it with the weather, especially since the local ones take place during the summer, when storms are pretty common!